Continue to exploit great idea of ‘layer-cake’ graph. As total revenue depends on number of customers we attracted and on amount of money each of them spent with us, it has sense to dig deeply. For example, Cohort-1 was signed up in January (M1) and included 11,000 clients who made purchases during the first month (M1). 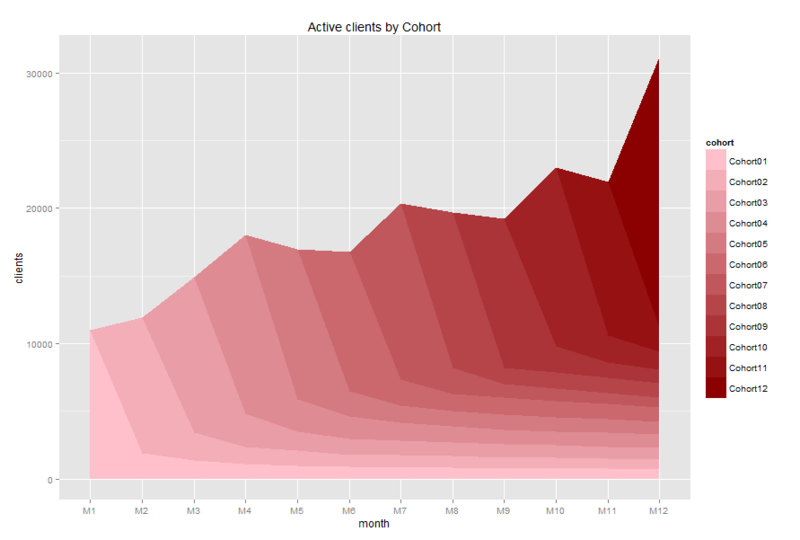 Cohort-5 was signed up in May (M5) and there were 1,100 active clients in September (M9). 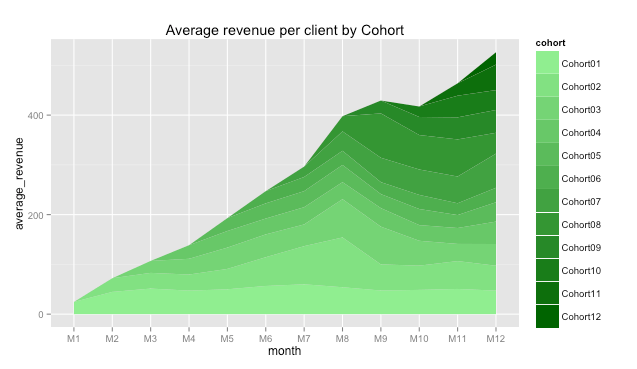 Note: The last chart shows average revenue per customer of each cohort, but it isn’t cumulative value as in previous two charts, it doesn’t show total average revenue for all clients. 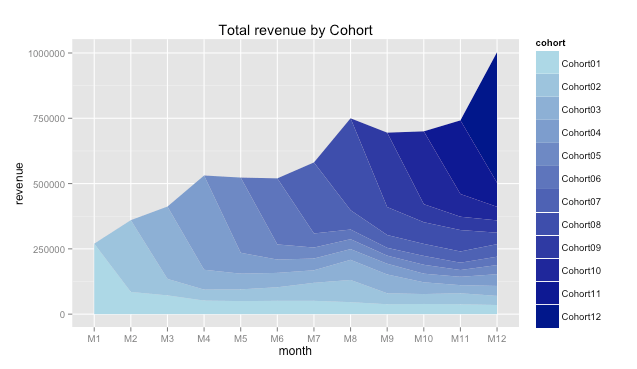 It seems like total average revenue per customer in M12 is about $500, but it isn’t. This chart should be used for comparing cohorts, not for summarizing. Please, don’t be confused.